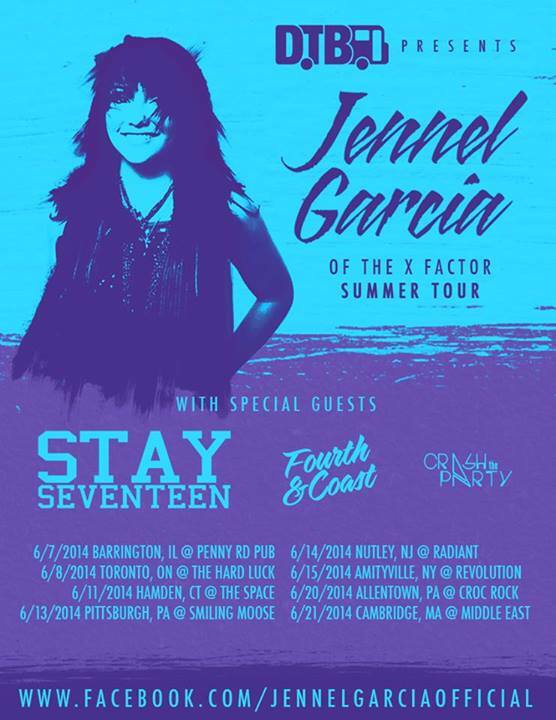 Jennel Garcia, a pop rocker from Massachusetts, best known for her performances on The X Factor’s season 2, will be coming to Crocodile Rock Café in Allentown on Friday, June 20th. Joining her on tour will be Stay Seventeen, Fourth & Coast, and Crash the Party. Tickets for the show are $12 in advance or $14 at the door and are on sale here.